A while ago I wrote about the Bad Rabbits (read about them here) and basically how insanely awesome these dudes are. Well, I'm writing for you all to download their STICKUPKIDS EP for free. How can you go wrong, these tunes will make you want to pump your fist and dance like the cast of Jersey Shore (not that Snooki's moves is actually dancing), but you get what I am saying. 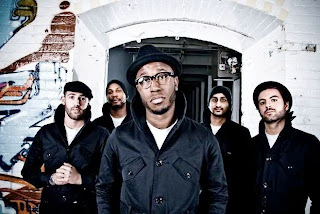 The Bad Rabbits have been named one of Purevolume's Top 20 Unsigned Bands of 2010, which is awesome as they definitely deserve recognition. They have one of the freshest sounds out their right now, combining Soul, R&B, Pop, and Rock. Each song is catchy in its own right with tons of energy, and within a few listens these jams will be in your head. Watch the video for "Neverland" below and "Booties." Download the STICKUPKIDS EP here.